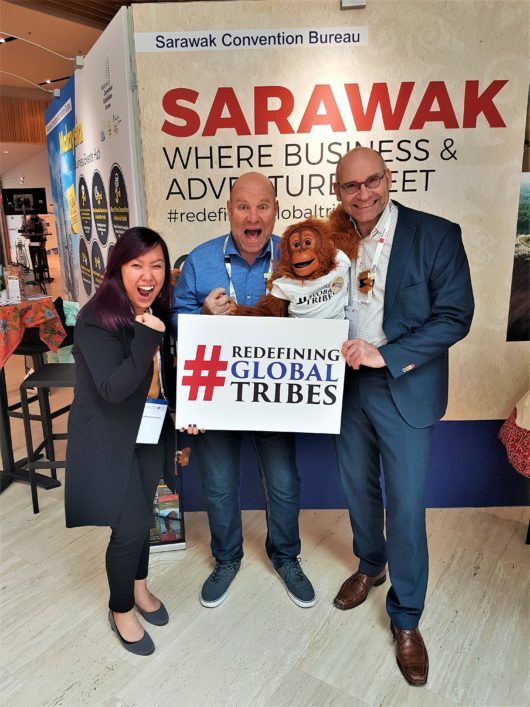 Antwerp, 20th March 2018: Sarawak’s boldest campaign in Business Events, Redefining Global Tribes (RGT), once again made a favourable impression to over 400 associations’ executives at the Associations World Congress (AWC) held last week in the Belgian port city, Antwerp. A sequel to its momentous debut last year, the RGT campaign – which aims to unite global communities for a stronger Business Events identity, has contributed to the Bureau’s win of the BrandLaureate Industry Champion Icon Brand Icon 2017. 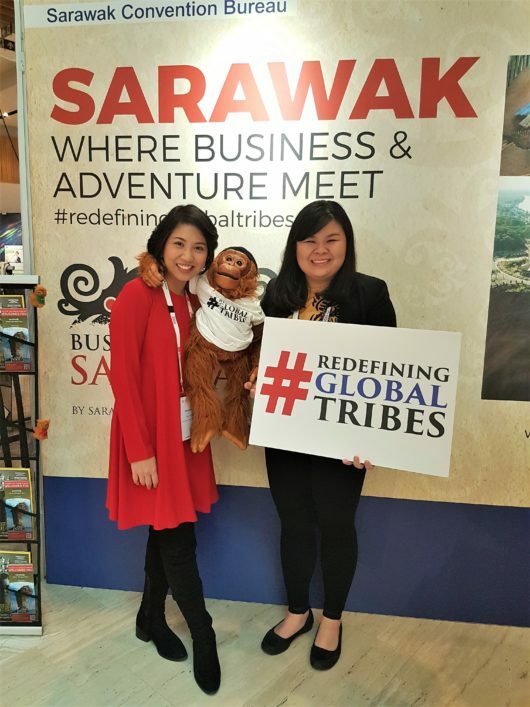 Amelia Roziman, Chief Operating Officer of Sarawak Convention Bureau (SCB), explained the values of coalition building with international associations. “AWC’s exponential quality network is the perfect platform for a campaign such as RGT. This campaign is more than just a marketing our destination; it is an active pursuit of matching objectives, meeting business needs, and in turn, co-building a global tribe within the world of Business Events,” said Roziman. Taking place at the newly expanded Flanders Meeting and Convention Center Antwerp which is uniquely located inside a zoo, AWC 2018 is the largest conference for associations’ executives in Europe. “It has been a tremendous experience at AWC. We look forward in creating more allies, and hope to gather them at our landmark events in Sarawak in the very near future,” she concluded. Redefining Global Tribes will be advancing towards Western Europe in Germany at IMEX Frankfurt, the landmark exhibition for global experts within the incentive travel, meetings and events industry, in May 2018. For more information of the Redefining Global Tribes campaign, please contact Jemima Rinai Joseph via email at [email protected] or call +6082-242516.